Sydney Brodt scored with 1:38 to play to give the U.S. Women’s National Team a 2-1 win over rival Canada in the second game of the preliminary round in the 4 Nations Cup in Saskatoon. 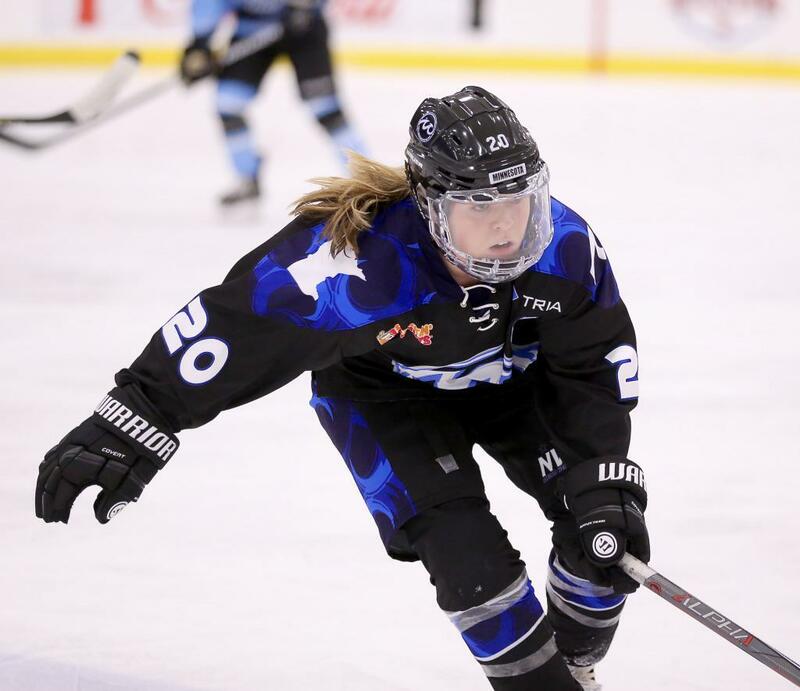 Minnesota Whitecaps forward Hannah Brandt got the U.S. on the board just 1:18 into the contest, with Buffalo Beauts forward Dani Cameranesi picking up the second assist. Loren Gabel knotted the score at one 3:30 into the third period. The game seemed headed for overtime as Beauts’ goaltender Shannon Szabados made a number of highlight-reel saves in the third period to keep the game even. But Brodt’s second goal of the tournament, assisted by Whitecaps’ forward Kendall Coyne Schofield, earned the win for the U.S., which moves to 2-0 after a 5-1 win over Finland on Tuesday. Canada drops to 1-1 after defeating Sweden, 6-1. Szabados made 31 saves for Canada. Her Beauts teammate Cameranesi now has a goal and two assists for the U.S., while Brandt has a goal and an assist, and Coyne Schofield has a pair of helpers. Cameranesi, Brandt and Coyne Schofield were joined by fellow NWHLers Emily Pfalzer (Buffalo Beauts) and Gigi Marvin (Boston Pride) in representing the U.S. The U.S. concludes preliminary-round play on Friday, taking on Sweden at 3 p.m. CT/4 p.m. ET. The game will be streamed here. Canada’s final preliminary-round contest will be against Finland on Friday at 7:30 p.m. CT/8:30 p.m. ET, with the stream here.